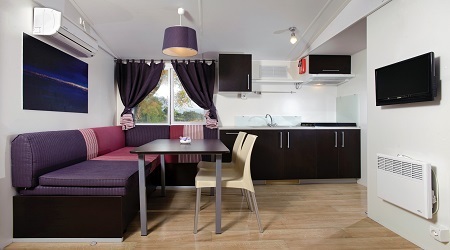 Mobile homes are your best choice if you love the countryside but you also want to enjoy the comfort of the hotel. Having their equipment and location in mind, we might say that mobile homes are golden mean between hotel accommodation and the proximity of nature that you can only have in a camp. 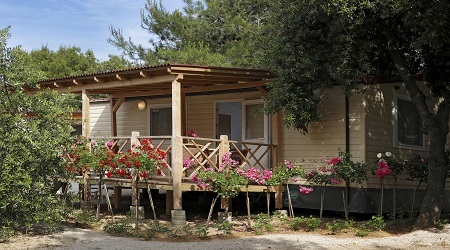 The mobile homes are located in the middle of a pine forest near the sea and they provide comfort of modernly furnished apartments. You can rest surrounded by rich vegetation so that feel relaxed in the shade for the whole day, with the sound of waves and a lot of light. Mobile homes in Solaris Camping Resort are highly functional and fully equipped. They offer 32m2 with a kitchen, the dining room, two bedrooms and a bathroom. 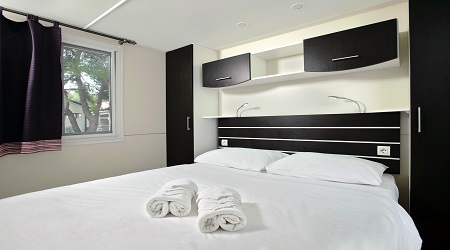 They are air conditioned, with internet access, and a car parking place is located next to the mobile home. 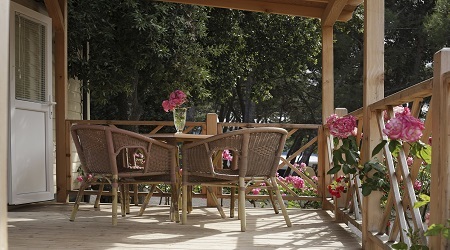 The most important thing is a spacious terrace where you can enjoy the company of family and friends. In the natural environment of the camp you are close to many attractions of Solaris Beach Resort. Themed beaches and various activities and attractions are in close vicinity of the mobile homes. There are many restaurants where you can try local specialties. Bars and nightclubs are there if you want to have a great time in the bright summer nights. Spend a relaxing holiday in the shade of pine trees by the sea. Amidst the beautiful nature and landscape you’ll experience a lot of fun moments by hanging out with friends and doing outdoor activities. Mobile homes are your best choice for a holiday in the countryside that provides all the comforts of modern life at the same time.